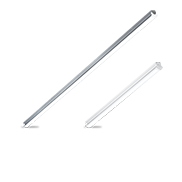 The linear style 'HB6' series is durable with a housing made of high impact extruded 6063 aluminum alloy and can handle all the requirements of industrial lighting. 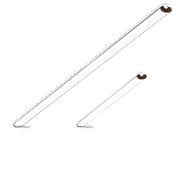 Beginning at the component level, this fixture is designed to dissipate heat to maximize longevity of the LEDs. 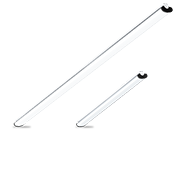 The 'HB6' reaches full brightness instantly when powered on, which makes it ideal for use with motion sensors. The 'HB6' series is perfect for high bay, mid bay and aisle lighting in your commercial facility. At up to 26,000 lumens with 130 Lumens per Watt, the HB6 meets DLC 4.4 premium standards. Because it has the ability to work with dimmers and motion sensors, the HB series will help you save additional energy. The 'HB6' series is water-tight, with IP65, IP66, and UL Wet Listed certifications. Quiet operation helps reduce noise pollution, unlike traditional metal halides. 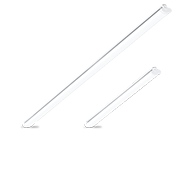 Utilizing LG-Innotek high output LED chips allows the ‘HB6’ series to provide ample light for uses over 18.’ Our proprietary polycarbonate diffuser evenly distributes lights over 115° area while also reducing glare. An external IP67 rated Driver makes for easy replacement if ever needed. A dust-free, water-tight enclosure keeps lights bright with no build up of internal debris. There is a 10' PVC whip with a removable water-tight connector included to help make installation fast and easy. Find additional RCA LED lighting fixtures that work seamlessly together. © 2019 RCA Lighting Solutions, LTD. All Rights Reserved.